Rangotri is one of the few studios in the block-printing industry where the designing, processing, dyeing, printing, stitching and packaging of products is all done in-house. This is to ensure that we deliver the highest standards of quality and can control the timeline of all our orders. We’re usually able to deliver within a 90 day timeline. Our team is able to design and develop innovative products in collaboration with clients. First the artwork/design is drawn onto a translucent butter paper which acts like a guide for the block maker to carve from. 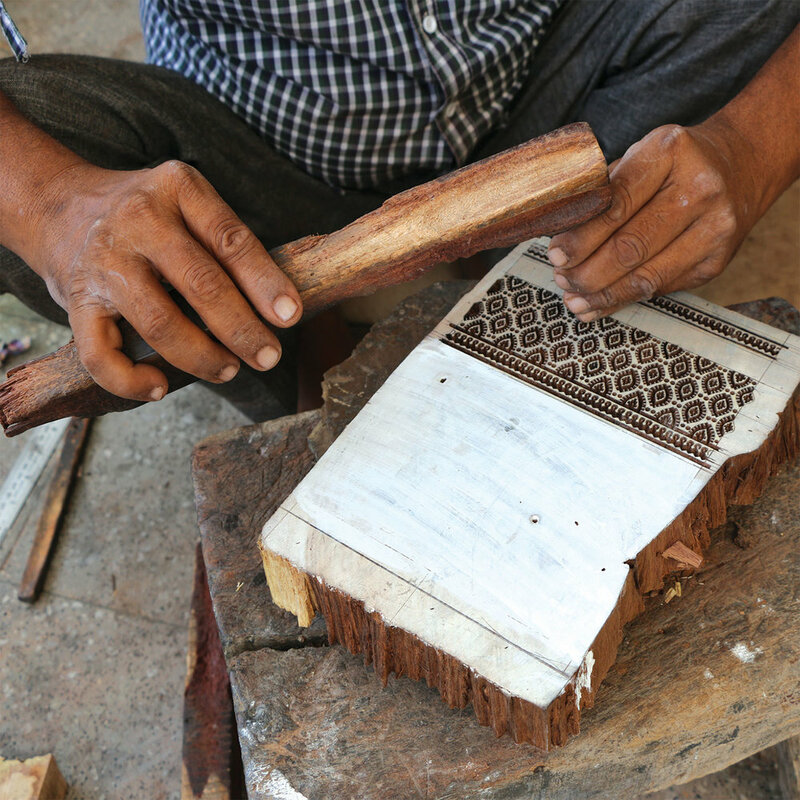 Then the block is carved by hand out of wood. Each block could take 7-10 days to carve depending on the intricacy of design. Our enormous archive of blocks have been collected over the last 30 years. We constantly seek to create an environment which preserves the value of traditional textiles. To build a symbiotic relationship between the market and our products - between skill and tradition. We primarily use two kinds of colour processes; Pigments & Indigo Sol. Pigment dyes are very similar to paint. They need to be mixed with a synthetic binder before using, since these are polymer dyes. The true colour can be seen while printing unlike Sol & Rapid. The printed fabric is then heated in a chamber to make the print colour fast to rubbing, washing and sunlight. 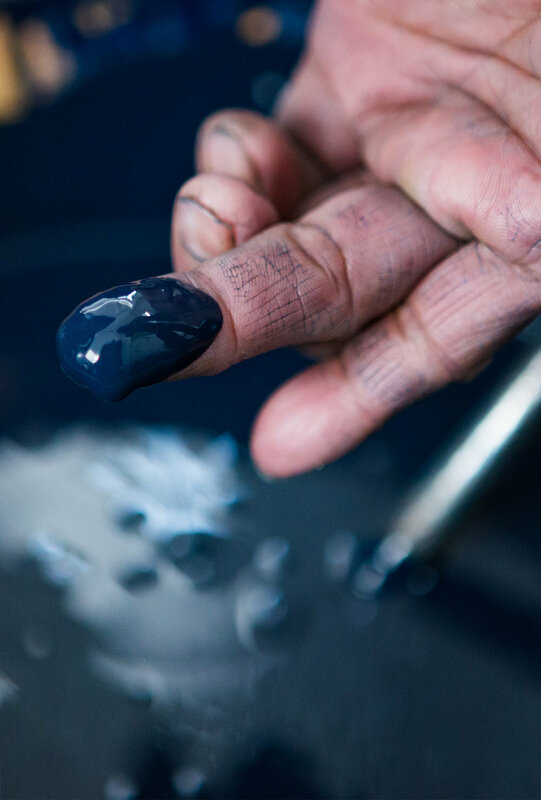 Indigo Sol is derived from an Indigo dye formula are also called Soluble Vat dyes, thats why the term Indigo Sol. These dyes are mixed with an arabic gum before use. This dye does not show its true colour while printing. The printed fabric is then processed in a mild acid bath which helps in fastening the colour. We love when our products find new homes.